The Veridian Foundation... helping the world then telling people about it makes us feel so good. The Veridian Foundation... Helping people. By telling people we're helping the world. 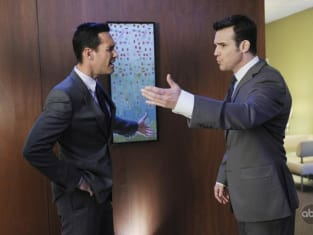 Better Off Ted Season 2 Episode 11: "Mess of a Salesman"
Bang zoom! I'm getting a muffin! Permalink: Bang zoom! I'm getting a muffin!